Overlord (Movie) Review: A fun if unmemorable ride – AiPT! I haven’t gone to see a film this intense in some time. I haven’t gone to see a film this intense in some time. If you’ve seen the trailer, then you know some of what this film revolves around, and boy does it delve deep into it. We open with a plane full of American soldiers on their way to Europe to fight the Nazis. The plane ends up crash-landing with only a small handful surviving, unfortunately for them Nazi soldiers are only a tiny part of the evils that are in store for them. What the Nazi doctor is up to under ground is the bigger worry. To be honest, there aren’t a whole lot of surprises here and even though I do love surprises, it doesn’t mean something’s bad without them. If made well, a film can be just fine or even great without a huge twist. Overlord is a film I’d classify as well made and entertaining, not great and not the best in it’s genre. One of the highlights of Overlord is its great characters, which sometimes isn’t really paid attention to in films like this. It would’ve been really easy to simply throw some flat cardboard cutout characters in this action/horror hybrid, but thankfully they gave us some solid characters and enough time to really get to know them. Every film that takes time to form a bond between it’s characters and the audience ends up being better. Hands down, the best performance was given by Wyatt Russell. Russell plays his character with a toughness. At first it seems like he’s gonna be a stereotypical hardened tough guy, but over time we see more of him and I for one really loved the way he was handled. Then, we have two actors that give solid performances and also portray their characters well in Jovan Adepo and Mathilde Ollivier. I was very pleased with their performances and thought all the main characters had a good dynamic, chemistry that worked. The other thing that was handled really well was the visuals. The overall look is very fitting for the era it’s set in and the special effects are very realistic. And yes, I applaud the great effects for their quality but I’ll also say that I think the graphic nature went a bit far in a couple shots. I’m no prude and I have no issue with strong violence or some gore, but a couple shots in particular in this film are sure to turn even the strongest stomachs, so just be prepared. The rhythm is another thing to go in the positive column, there was a smooth flow from beginning to end and a fitting amount of time was giving to each stage. Also, something else that’s up front and center from start to finish is the great, powerful soundtrack. The music is very fitting and adds a chilling feeling where it’s needed. There really aren’t a lot of negatives I can point to specifically. The only thing I can say about the film that’s negative is that it’s not particularly memorable. 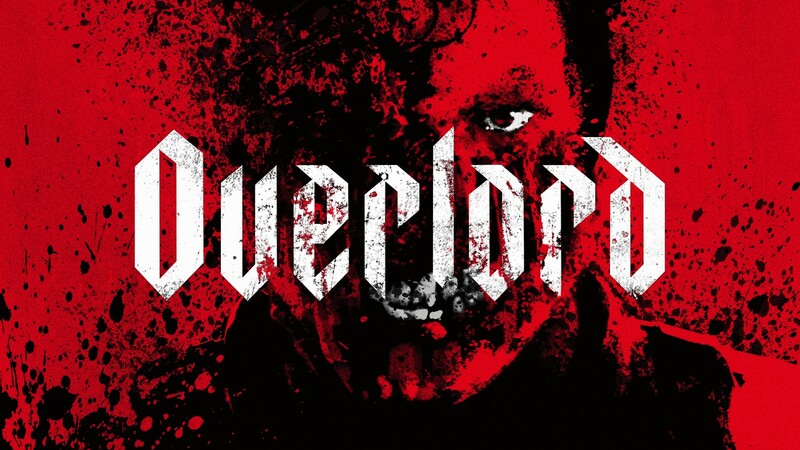 A quick fun ride is probably a good way to describe Overlord, not something I’ll think a lot about afterwards, but it was pretty fun while I was on it. Overlord is a like a ride, it's not too memorable but pretty fun while you're on it.